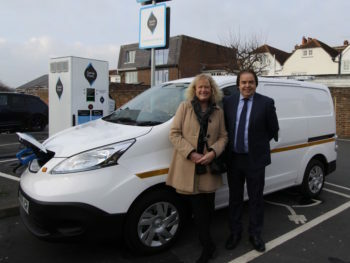 Three new GeniePoint Rapid Chargers have been installed across Havant in Hampshire as the council looks to encourage drivers to switch to electric vehicles. The newly installed 50kW+ chargers are located at South Street in Emsworth and Tidworth Road in Leigh Park while the charger in Wellington Way in Waterlooville will go live at the beginning of March. The new chargers are part of the GeniePoint network, which is free to join and offers more than 25 GeniePoint chargers located across Hampshire. Once signed up to the network, drivers can charge using a tariff of £0.30p/kWh, plus £1.00 connection fee.